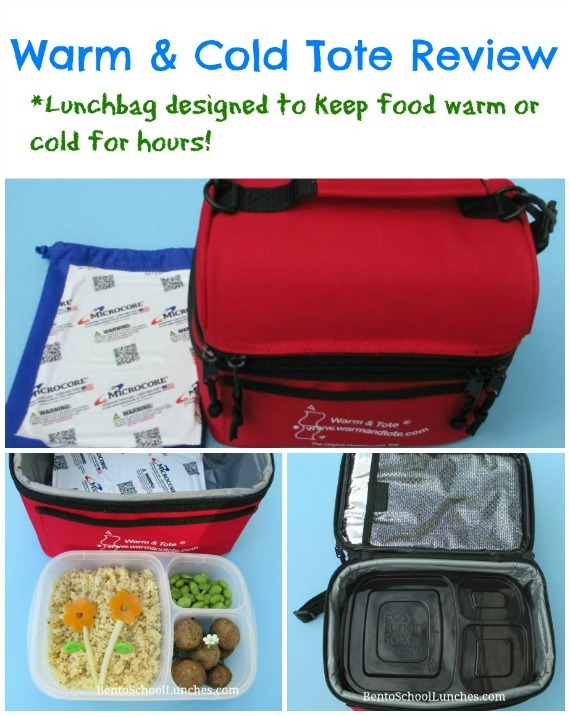 I am elated to be given the opportunity by the nice people at Warm & Tote to try out their warm and tote heated lunch tote. Sometimes, during the cooler months, Nikolai requests something warm for his lunch, and I understand that many other school children prefer to enjoy their lunches warm as do many adults. Now, thanks to Warm and Tote, there is an excellent and very attractive solution. Our son's lunch time is 12:45 p.m. and I need to finish packing it by 7:35 a.m. which leaves a span of time of approximately five hours. Much of last week I sent 'leftovers for lunch" and asked each day if it was still warm. The last time he replied," You don't need to keep asking, Mom, it has always been warm!" Previously I would occasionally pack a warm food in our thermos container, which worked well, but had some limitations. 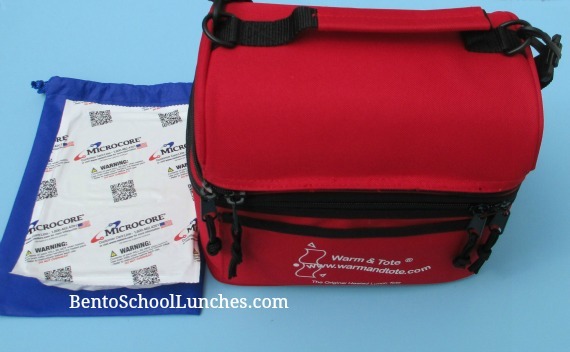 With the Warm and Tote, you can keep the entire lunchbox warm, which means you don't need to plop the sweet potato casserole on top of the turkey and dressing. I like such options. There is plenty of space in the 'perfecta' model by Warm and Tote, and with two compartments separated by an effective thermal divider, you can keep the lunch warm in one while you keep fruits or a beverage cool in the other. Its size also makes it quite handy for traveling with snacks and beverages, like when visiting theme parks, attending a sporting event, or for taking along for short trips on the weekends. Here is a photo of the Warm and Tote with the Microcore pac to the left. I followed the instructions for the use of the Microcore pac and it easily kept the lunch warm for five hours. In addition to keeping foods warm, it can also keep them cold for up to ten hours! We tested this feature during the weekend and we were quite amazed that even in the hot Florida sun we could enjoy some cold beverages. I really like the bright red color of this lunchbag. 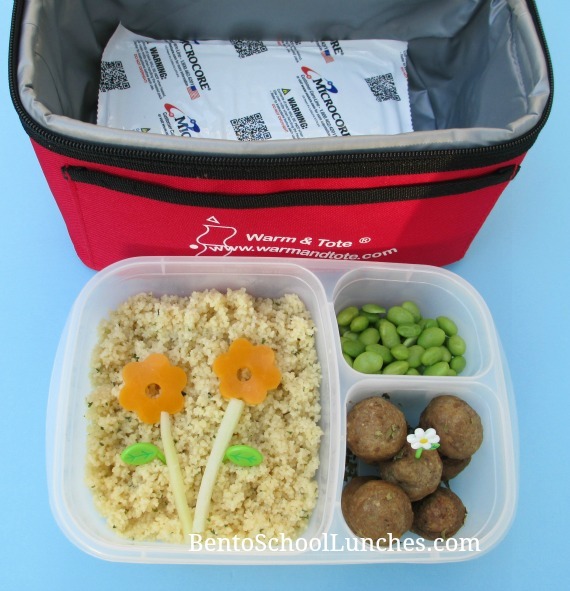 Here is a photo of the Warm and Tote Perfecta with the lunch I packed and sent to school with Nikolai. On the left is Couscous decorated with a flower made with mild cheddar cheese cut to shape and thin strips of cucumber with leaf picks. To the right are edamame and meat balls with another pick. This lunch was packed in an Easylunchboxes container which fit nicely in the lower compartment of the Warm and Tote Lunch tote with the Microcore Pac. In the upper compartment he had some fruit in another container with an ice pack. In this photo you can see how nicely the Warm and Tote perfecta holds our Easylunchboxes container. They have other models with different dimensions available, but for us, this one is truly 'perfecta'! Please note: Warm and Tote has requested that I link to their Amazon store which will be handling their business volume. They intend to use their private site only to handle the Heat Pack aftermarket purchases. Disclosure: Warm & Tote generously provided me with the products for review without cost to me. Other than receiving the products, I have not received any compensation to write this review. This is awesome, thank you for sharing your review! Great lunch! Looks like a great lunch bag, seems quite roomy too! You are right Ming, it's quite roomy with 2 separated compartments. :) It's works great when Nikolai has to stay back for after school activities. Yes it certainly looks very roomy! Seems very functional too! dear rina, i m so glad i found ur blog. 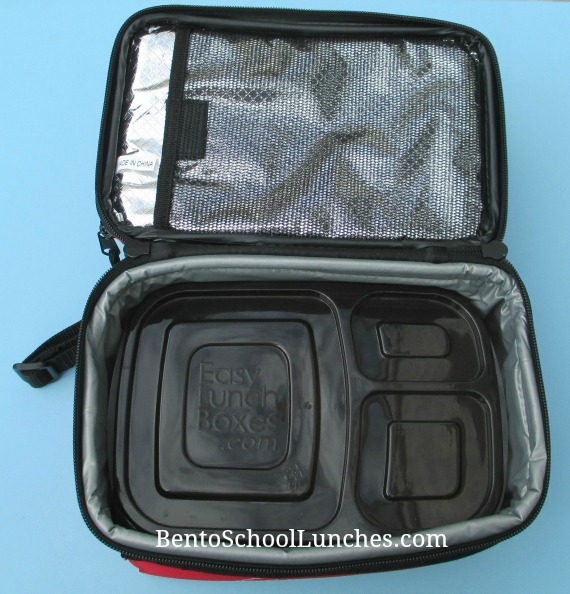 have been going crazy looking for lunch boxes to give my girls some warm lunch in.